My name is Pandamonium and maybe some people remember me from my brief times back in the relic forums, where I polluted the Aether with some of my art in the Ship-Tan threads. Anyways I have recently played through deserts of Kharak again for the millionth time and over the past 2 months I have been thinking, dreaming and drawing in it's creative light. So over that time I accumilated quite a few pictures and ideas that I would really love to share with you all, discuss them, build upon them etc. Of course I'd love nothing more if anyone interested would share their art here too, should they wish to. Unfortunately this Forum is giving me a little trouble with creating a new topic, when I tried to add pictures right away, so I'm gonna try and take it a little slower and just start with these opening lines and see where it leads. Let's get this party startet! I want to start off with things, that weirded me out about DOK, so that I can move on and talk about how much I LOVE this game. Next there's this picture of the Khar Toba wreckage in the ending sequence. It doesn't make much sense to me that Paktu, Manaan and Soban have their sigils in there. Paktu might make sense still as they may only have changed their colors after their exodus to the southern hemisphere. But since Manaans logo is a sand dune I have my doubts that they already existed in the time of the city of Khar Toba, or at least not with that particular sigil. Now Kiith Soban is not even a discussion, since they were only found in 416KDS , a good 1500+ years after the time of Khar Toba. My only explaination is that Paktu, Soban and Manaan just have such a high recognition value. Then of course there is the assault cruiser. It's 100% Gaalsii , even the wavy stripes in the color scheme. Don't get me wrong; I LOVE this thing it's probably my most favourite unit,because it's so versitile. I think it's coalition existence is owed to what I suspect to be time restraints and balancing issues. Without it the cruiser department of the coalition would certainly lack a lot of punch against the fast gaalsii attack vehicles and assault rail guns. And the Gaalsien can definately compensate for it with their long range siege cruisers and capable railguns. It's just that it could use some fluff about why the coalition has it and mabye a few coalition desing elements on it. Lastly, the coalition AAV. There is even a whole thread just for it's odd design. To me it just sticks out like an amazingly sore thumb with it's cartoonish gattling ,as compared to the other units that are SO WELL balanced in their designs.Further down the post I put some fixes that I am very fond of. Finally it's time to put the Art into here! Soban - Warriors and strategists, no one is born Soban, they can only be joined. Kharaks Finest. Tambur - Bounty hunters, yay! Here I just went out and sketched just what came to my mind, so not much guided design work, but certainly a bit of fun. In general I oriented myself a little on existing desert people ,like the Tuareg, with all their scarfs and cloth. I'm sure I'll get a more focused look down soon. A S'Jeti Scientist , just enjoying a smoke. And as you'll see I love the Scarfs and Skirts. Oh boy oh boy , aren't the vehicles the heart and soul of this game? What really drove me in the sketches was the idea of what was happening after the defeat of the Gaalsien. 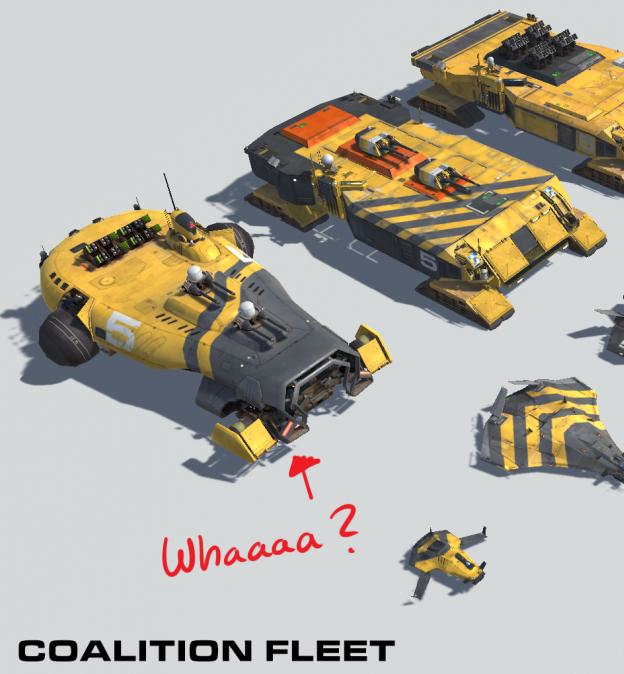 I'm 100% certain that the coalition will love to adapt some of their designs to hover craft. And then of course I would like to explore the different policies and variants of the Vehicles in all the different Kiith. A Manaani troop transport maybe ? finishing up the vehicle category is my try on fixing the main gun issues of the AAV. What do you think ? What I've been missing in the game , were to see the Poles of Kharak, because it can't just all be 100% desert there with some salty waters. People need to eat something , they need to clothe themselves, build houses/holds etc. and that needs wood, grasses, you name it. I Imagine the polar landscape to look somewhat like the african atlas mountains , were we have desert to snow with a very arid climate, yet still Oasises and the likes. In my few environment sketches I tried to draw that a little and explore the possible flora of Kharak. I'm very sorry for this overly looooong post, but I really had to get these sketches out and I can't wait for your feedbacks and ideas, because I really want to continue to create more content arround the Homeworld franchise, specificaly about Kharak , a planet I fell in love with. Last edited by Pandamonium; 02-03-2016, 10:22 AM. Okay , fun thing is ,that I was Able to make the post and add 1 Picture arfterwards but then I cannot edit anything anymore. this is kinda sad. I would like to add quite some more pictures. Am I missing something ? https://imgur.com/a/NlXjg here are ALL of the pictures that I had in mind for the post, so you have something to look at. Last edited by Pandamonium; 02-03-2016, 10:38 AM.